Earlier this week, Google killed a beloved service of theirs, but now it looks like they might be bringing another one back from the dead in the form of a new note-taking service called "Google Keep." Remember Google Notebook? It's back! We've got pictures! 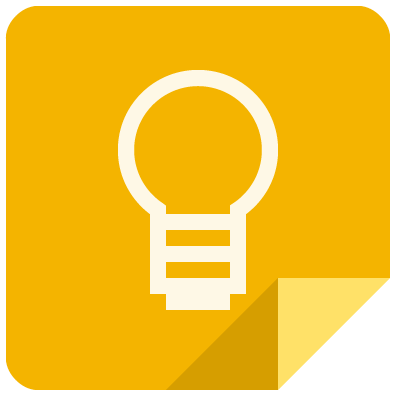 Google Keep's website went live for a short while and we took a bunch of screenshots. Check them out. It looks like it's a good match with the other Google Drive app icons. The service is codenamed "Memento" and the MIME type of a Google Keep file is "application/vnd.google-apps.note." There are also a few revealing URLs: https://drive.google.com/keep/ gives a special (read: fake) 404 page, while something that really isn't there, like https://drive.google.com/androidpolice/ gives a real 404 error. You can also get favicons for Keep if you check out https://drive.sandbox.google.com/keep/ or https://drive.sandbox.google.com/notes/. Do a little Googling and you'll come across this G+ post on the official Google page. 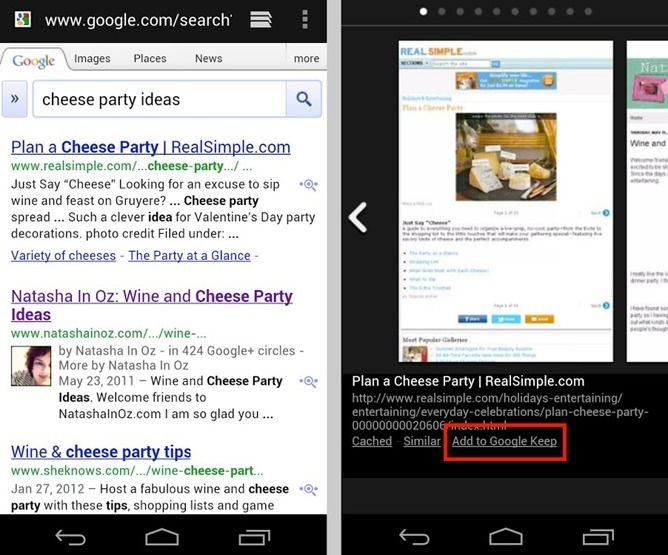 In July 2012, Google was trying to use this picture to extoll the virtues of Instant Preview, but they didn't notice the "Add to Google Keep" link in the right screenshot. So apparently Keep will be able to save website snippets directly from a Google Search, and this service has been in the works for some time. It looks like Keep will get its own Android app, which is really odd for a Drive app, but sure enough, 1E100 found that http://g.co/keep redirects to https://play.google.com/store/apps/details?id=com.google.android.keep. That's about it. Google Keep, an unreleased note-taking app from Google. We'll let you know if we hear anything else.